The last ten years have seen a series of attempts by policy makers to encourage universities to re-think and re-focus how they engage with wider society. Public engagement sits at the heart of these policy developments. Although public engagement shares many common themes and, indeed, activities with its sister activities Outreach and Widening Participation (WP), it has very different motivating factors. Outreach is primarily driven by recruitment of young people into higher education, with the WP agenda aiming to recruit and support pupils to whom there remain social or economic barriers to doing so. Public engagement is, by definition, a two-way process driven by a social responsibility, involving interaction and listening, with the goal of generating mutual benefit. A pdf of the Guide Book is available to download here. In the 2010 Concordat developed by national research funding council RCUK, expectations were outlined for UK research organisations to have a strategic commitment to public engagement and outreach. It was also recognised that researchers should be recognised and valued for their involvement with these activities and enabled to participate through appropriate training, support and opportunities. The nature of such a partnership also means that these benefits can continue for successive groups of pupils, teachers and researchers. The successful formation of a school-university partnership poses a unique set of challenges and in 2013 the RCUK-funded School-University Partnership Initiative (SUPI) project began to attempt to address these. 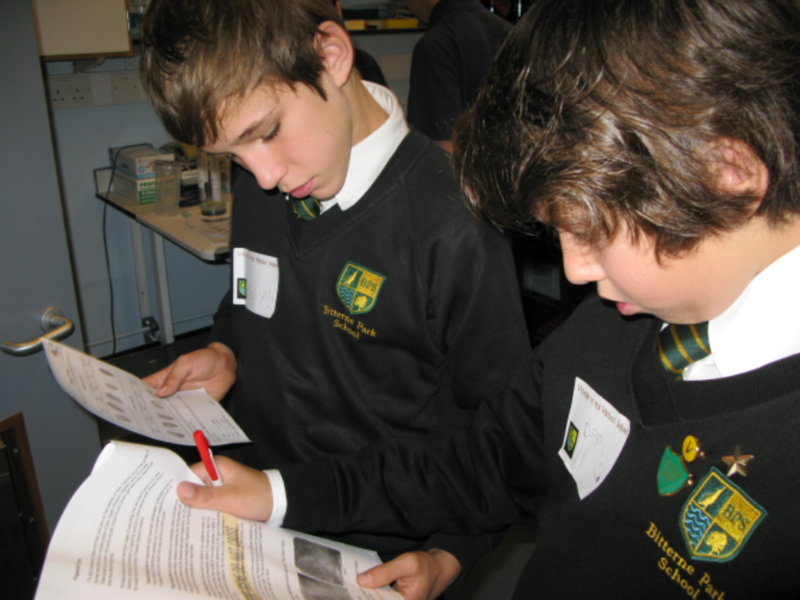 Nationally, 12 universities or HEIs were funded to work with local schools to investigate how successful partnerships could be created and maintained, and each has found different ways to address the initial call to ‘support researchers’ direct engagement with pupils, bring contemporary and inspirational research contexts into formal and informal learning and enhance and enrich the curriculum’. Talk to US! was the University of Southampton (UoS) SUPI project which received funding from RCUK between January 2013 and December 2016. Today it is the outward facing portal of the UoS, particularly aimed at schools, supported by the university’s School-University Partnership Officer. This Guide Book was developed as part of the Talk to US! project and is based on the findings in the evaluation of its sub-projects. Talk to US!, hosted by the Southampton Education School, focused on 6 STEM-based disciplines, some of which had existing engagement programmes that they wanted to enhance and some of which started from scratch, forming 6 core sub-projects and, later, 2 additional sub-projects. The lessons learned are also very much applicable to non-STEM disciplines. The 8 sub-projects were: ACoRNS (Autism Community Research Network Southampton), Biological Sciences, Chemistry, Discover Oceanography at the UoS Waterfront Campus, Dragonfly Day engineering workshops for female pupils, Gene Tech Hub, LifeLab at Southampton General Hospital (SGH) and Murder in the Medical School run by the Biomedical Imaging Unit (BIU). Researchers and university staff were paired up with teachers from local schools with an aim of producing workshops and supporting curriculum-based material that fitted into a particular model. This model was based loosely around the LifeLab programme and featured: introductory lessons around relevant subject material to be taught by teachers in school; a university visit day where pupils and teachers were able to use equipment or have experiences not available to them at school; following up with a project in school where pupils would produce academic style posters to be displayed at a celebration event at the end of the year. In reality it very quickly emerged that this rigid approach did not fit every school or academic department involved for a variety of complex reasons and that flexibility and variety were more important. During the initial three years of the project it became clear that there was a very specific set of issues to overcome and knowledge needed to engage fully with this type of work. The Guide Book is an attempt to address some of those. This Guide Book is intended to both enable university staff to initiate partnerships working with local schools and to aid school staff in making contact with a university they wish to engage with. The partnership is based around the creation of an initial activity. Ideally this activity will be planned in response to discussions between school and university staff to identify any mutual needs that can be met by partnership working. The planning template (Appendix 1) highlights all the necessary steps. Each section of the template has a corresponding section of advice and information in the Guide Book. Those with experience of partnership working or currently working within a partnership will be able to fill out the template by using these sections in a relatively light touch way. Those who are new to partnership working may wish to read each section of advice in full before continuing. School pupils examine the evidence during Murder in the Medical School, a workshop run by the Biomedical Imaging Unit. We recommend sharing the Guide Book (whether online or a hard copy – contact us for your free copy!) to your school/university contact. The majority of sections are relevant to all, particularly when planning collaboratively. Some advice, however, is more relevant to those coming from either a school or a university perspective and these sections are highlighted in green boxes for universities and blue boxes for schools. A pdf of the Guide Book is also available to download here. There is already a lot of public engagement and outreach work going on at the University of Southampton and not only in STEM disciplines! If you wish to offer your expertise to an existing event or to find out what is happening that might be of interest to you, see the Useful links and contacts section.